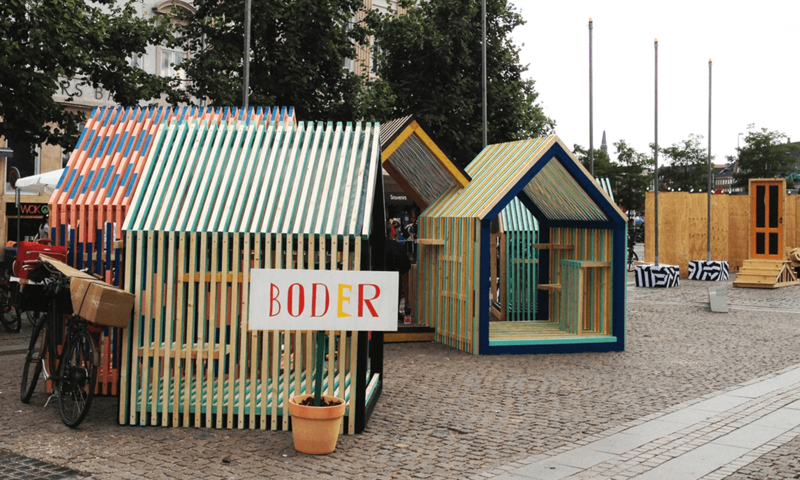 Installation of iconic houses at Ilovit during Copenhagen Art Festival 2012. 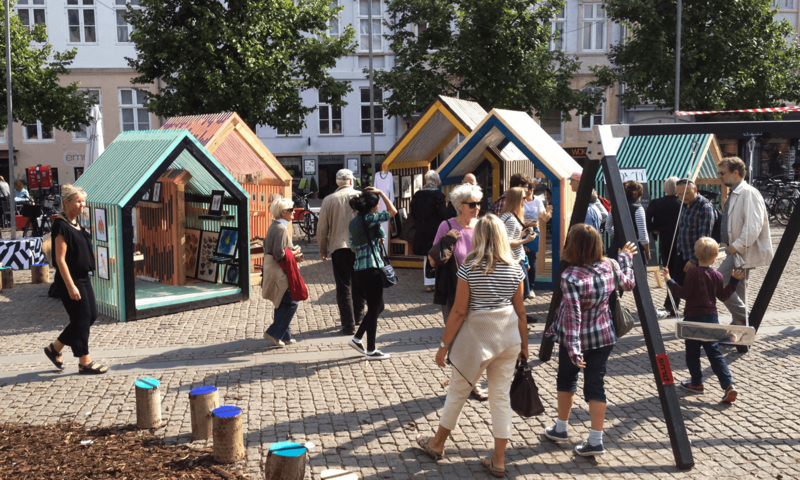 Small iconic houses contribute to the atmosphere of a marketplace at ILOVIT. 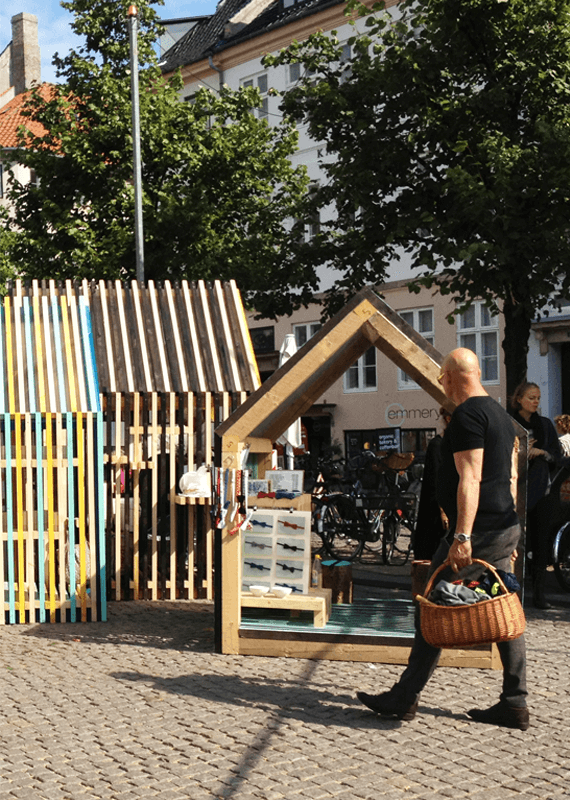 One house functions as an information booth, five others as small shops. 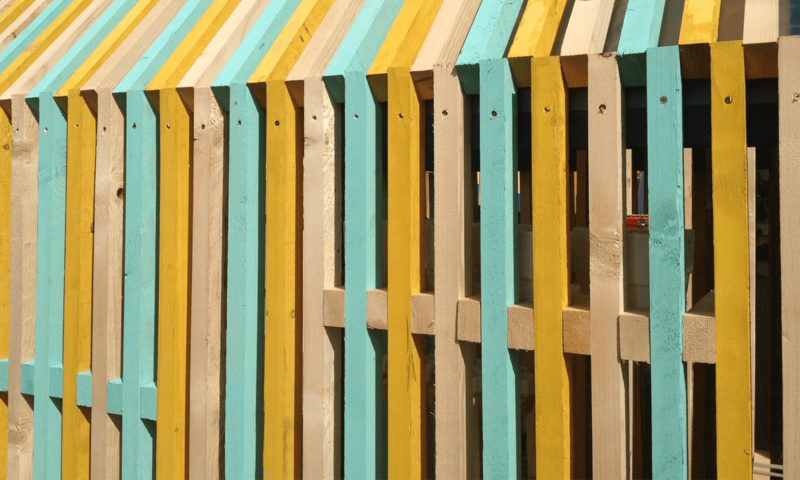 The colorful houses invite visitors to come closer. 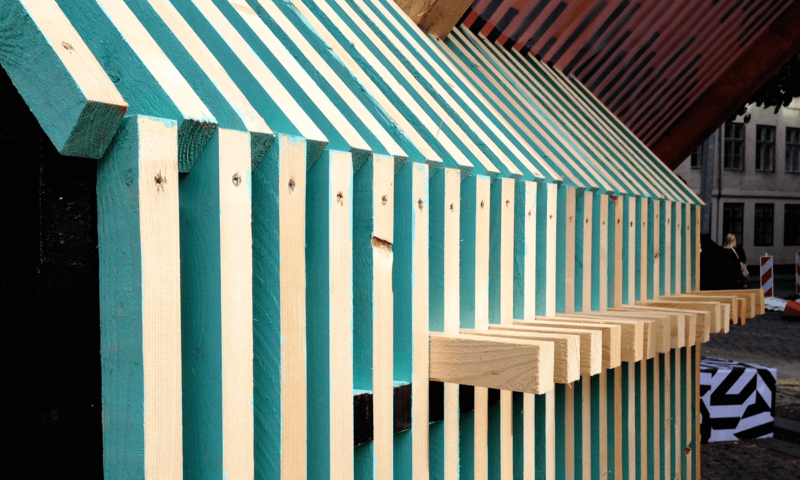 The laths merge into each other and create small surprising spatial sequences. 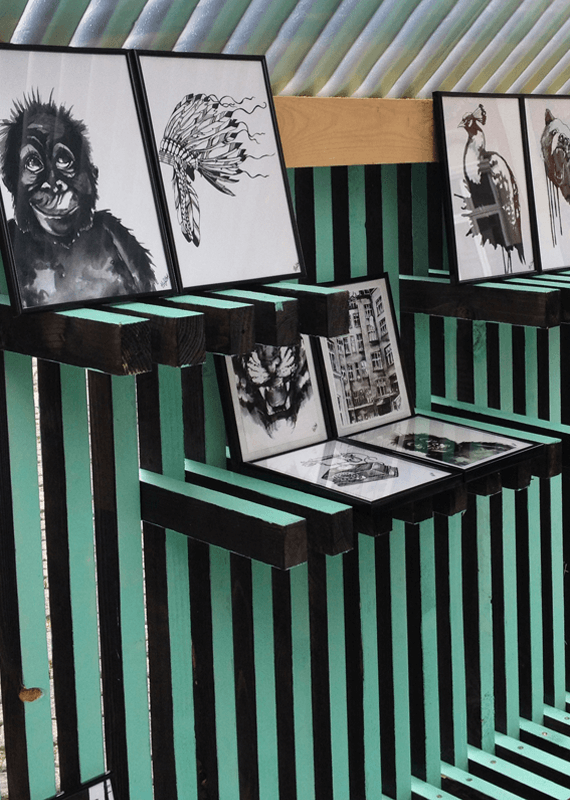 Built-in shelves, benches and tables function as exhibition space. 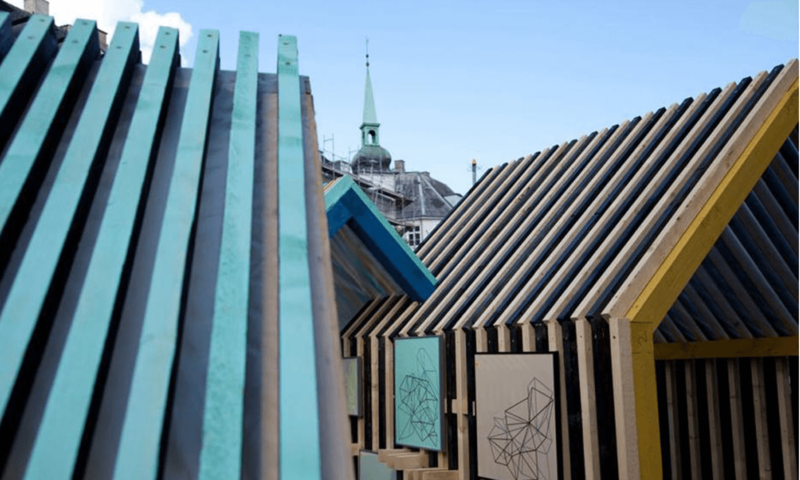 The houses are situated inbetween various pieces of art and performances. 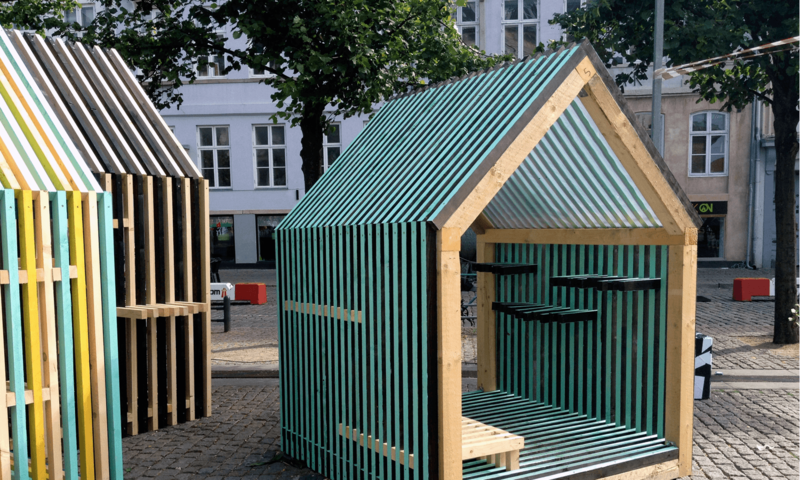 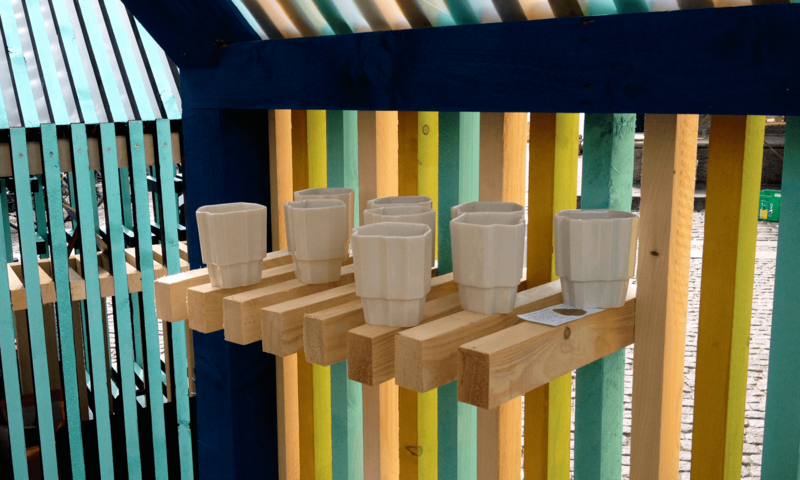 ILOVIT is developed and curated by Jeppe Hein and Christian Skovbjerg Jensen. 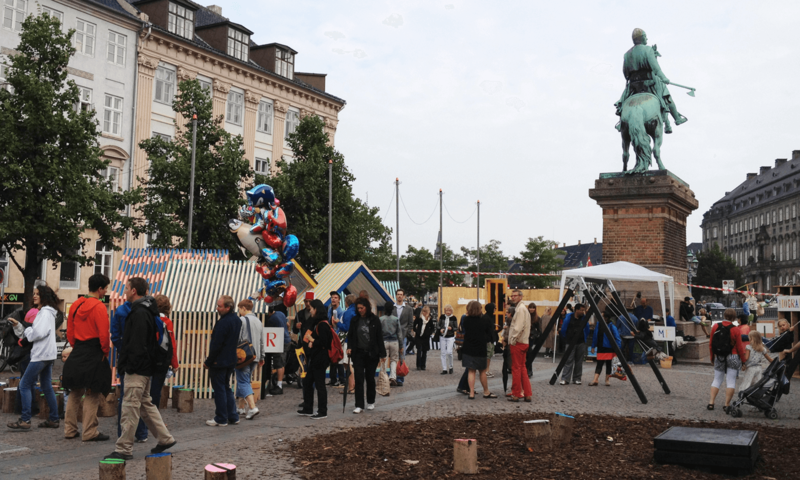 Drawing on inspiration from the atmosphere of Tivoli, and of the historic marketplace, the aim is to turn Højbro Plads in the center of Copenhagen into a pulsating space of social interaction.